Bookings: Jude Palmer 07946 637584 or complete the adjoining form. 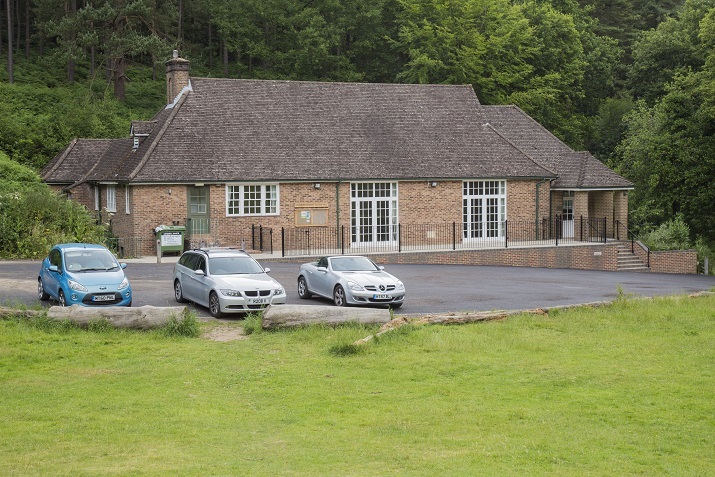 Holmbury St Mary Hall is a spacious, flexible and friendly venue, excellent for a wide range of events including parties, weddings, sporting activities, fundraisers and meetings. Located near the centre of Holmbury St Mary and at the edge of the Hurtwood Forest, the Village Hall is set within a tranquil glade. The Hall stands a little apart from the other buildings, in a clearing in the forest at the end of a residential road (Felday Glade). The layout of the hall includes a large stage, main hall area with double French doors which open out onto a large terrace, kitchen, smaller rooms and toilets.